This book club in Longmont, Colorado found out about QUEEN OF THE ROAD from a member, Roni's, daughter. I'm multigenerational! Oy, I need a drink. As hard as it is to believe, this is not the first time I've heard this from book clubs, although usually they'll say things like, "I found you really annoying." Frankly, whenever people in book clubs say that, I figure I must be some kinda great writer to have portrayed myself so accurately, because yeah: I am annoying. What do you want from me? Karin's main beef seemed to be that as a Jewish American Princess, I reveled in the fact that I don't cook, clean, etc. I tried to explain (and Karin, please let me know if I was successful) that to me, there's a difference between refusing to do those things and expecting others to do them for you, vs. just not caring if they're done at all. I'm a pig. So sue me. 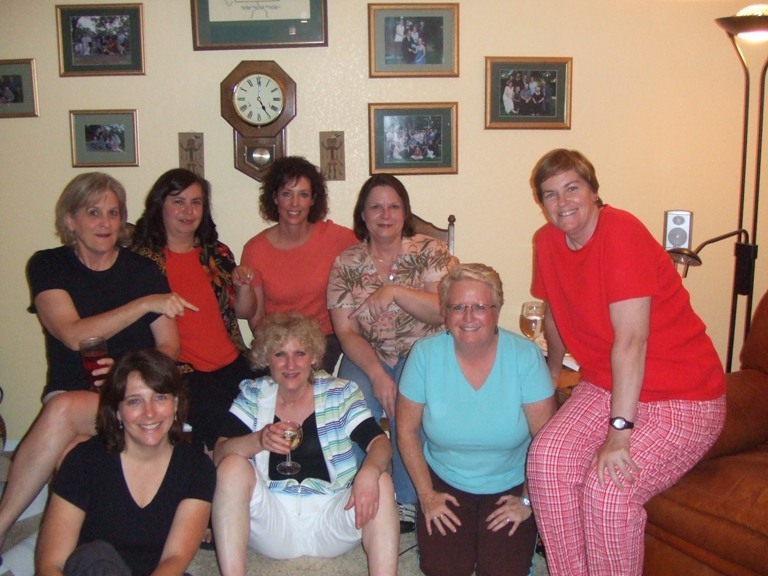 Here's a recent example: When my book club came over so we could have an author call in, Tim, of course, stayed away until the gals left. (Too much estrogen. Can you blame him?) Upon his return, he walked into the bedroom and promptly came out with a shocked look on his face. "You made the bed?" He asked, incredulous. And, as far as getting dressed every day, the best Tim can do to explain why I should is that, "Decent people get dressed in the morning." Frankly, indecency is fine by me. If anyone can come up with a better rationale than my darling husband has, I'd love to hear that, too. Along those lines, this club asked me for book recommendations. I'm always happy to give them, but will never recommend bestselling authors or well-known books because everyone's heard of them, anyway, and those writers certainly don't need any help from me. Instead, I much prefer to mention relatively undiscovered jewels: Susan Breen's THE FICTION CLASS, Kristy Kiernan's CATCHING GENIUS and MATTERS OF FAITH and Joshua Henkin's MATRIMONY. (All of these authors call in to book clubs, too.) This prompted the book club to dub me, "The Jewish Princess Oprah." To which I say, "What could be bad?" They also were kind enough to remind me (as I'm deciding on my next book) that in QUEEN OF THE ROAD, I mentioned I'd love to do a travel guide based on the crapper rating system, ie lid up or lid down. We decided I should call it (after the TLC show, What Not To Wear, and in honor of my Nick Arrojo haircut during our trip) WHERE NOT TO GO. If my editor or agent is reading this, don't worry. I'm not serious - yet. Thanks for visiting my blog. I'm glad you did, because your comment lead me to YOUR blog! 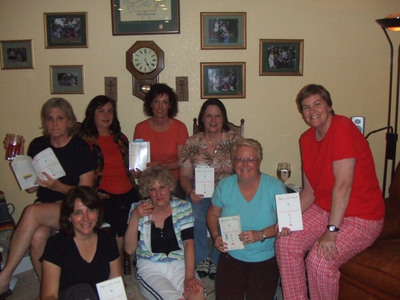 Love reading about reactions of book clubs, since I may end up doing that myself down the road (pun intended). Glad I could be therapeutic for you, Keri! Oh, damn. I really should have kept taking that Antabuse. No problem. Back on the wagon tomorrow. Really, people. I AM annoying. I LIKE being annoying. I revel in it - just ask Tim. This page contains a single entry from the blog posted on June 26, 2009 5:59 PM. 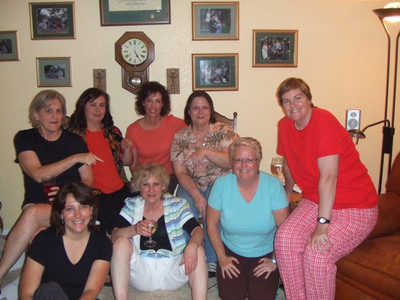 The previous post in this blog was A Boulder Book Club. The next post in this blog is Burly Men.